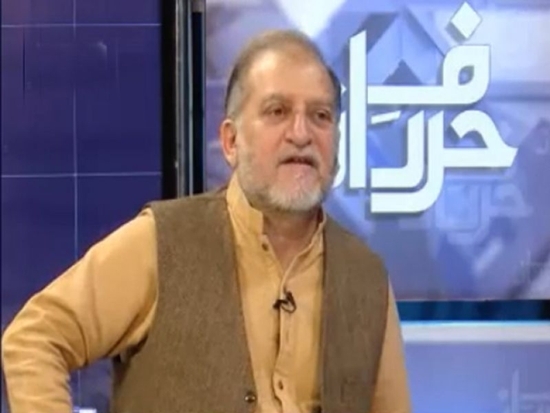 Orya Maqbool Jan is a famous columnist and a former bureaucrat. He also hosts a talk show on Neo News TV Channel. Orya Maqbool Jan belongs to Kaira family of Gujjars from Gujrat, Pakistan. He is the 2nd cousin of Qamar Zaman Kaira. He has served as deputy commissioner and district magistrate of three districts. He worked as a Managing Director of Baluchistan Water and Sanitation Authority. He is also project director of UNICEF in the projects on advocacy and communication of rights of children and women development. 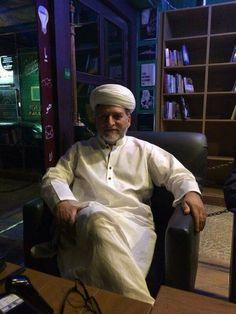 He has also served as director general to Sustainable Development of the Walled City Project in Lahore and as Executive Director ECO, Cultural Institute, Tehran and information secretary to the government of the Punjab. He is also a member of the National Academic Council of the Institute of Policy Studies, Islamabad. He has written five television plays of PTV. He has also written several tele-films and assorted. Qamat is his poetry book while Harf-e-Raz and Mujhey hey Hukme Azan are collection of columns.